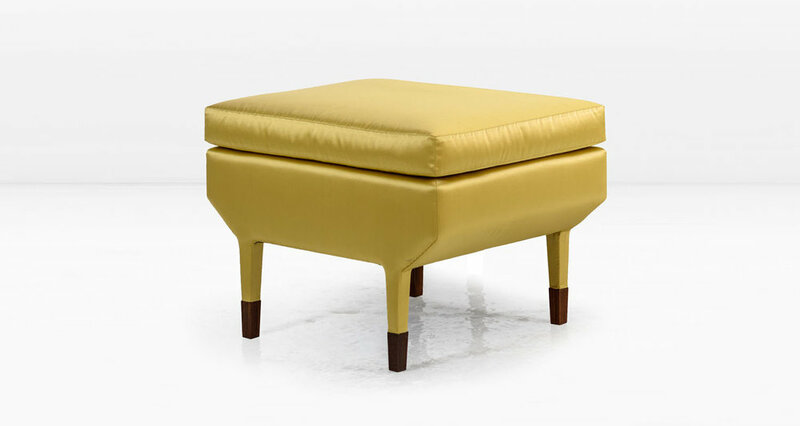 The Angott Ottoman has a softness and fluidity that is enhanced by the fully upholstered form. Fabric covers every part of the piece, including the chamfered base and a portion of the legs before they transition seamlessly to solid American Black Walnut sabots. The seat is down-wrapped offering an additional layer of comfort. Shown in a Silk & Cotton Satin. Also available without sabots.